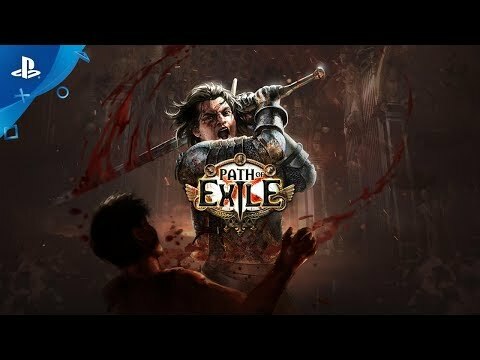 Choose your class, tune your character and fight for control of the dark world of Wraeclast in fantasy action-RPG Path of Exile. Test your mettle in a free-to-play action-RPG set in the dark fantasy world of Wraeclast. Take on the role of an Exile and explore deep character customisation, visceral combat and powerful item crafting as you battle through ten chapters of treacherous encounters and unforgiving environments. Choose your path from one of seven classes and 19 sub-classes and gradually build your character, unlocking new skills and hunting down more powerful weapons and equipment to unleash your true potential. Discover randomly generated items that can be enhanced and modified through a myriad of crafting options. Play in parties of up to six and earn your place by competing on seasonal ladders and daily leaderboards for unique prizes. After completing the main campaign, you'll be thrust into the Atlas of Worlds end-game to master ever-changing new domains. Combine a Skill and Support Gems to enhance your skills or modify thier behavior. Augment the Burning Arrow Skill with just two support gems and turn it from a single fiery projectile into a barrage of five simultaneous arrows, each ricocheting off monsters. Choose from 7 classes and 19 subclasses to make your way through the unforgiving land of Wraeclast. Your class dictates your starting point on the passive tree, but won't lock you into archetypes if you want to venture off the beaten path with your character build. Path of Exile receives frequent updates as well as new expansions that contain fresh content every 13 weeks. Exile yourself at any time and find your place in one of the permanent servers or in fresh seasonal events. Love a good loot chase?